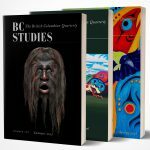 BC Studies is pleased to share the 2017 RAVEN Young Scholars Essay Prize Winners. The award recognizes outstanding work related to Indigenous culture, social justice, and environmental rights. You can read them both here.